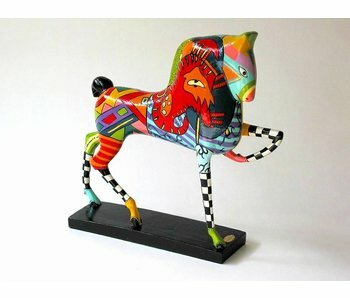 Stylized horse in bright colors, from the Circus Collection. Size: 40 x 39 cm. Handpainted.